Medicinal plants are considered as one of the primary sources of modern drug discovery. However, the scope of research on exploring the traditional medicinal system for modern therapeutics is limited due to insufficient understanding of the therapeutic mechanism of action. Computational approaches such as ligand and structure-based methods may provide a possible solution for plausible target identification, leading to elucidation of the therapeutic mechanism. To facilitate such studies, MedPServer was developed. The platform not only provides tools for medicinal plant data analysis but also contains traditional, scientific and therapeutic information about medicinal plants and their active constituents, obtained from scholarly literature and local sources. The server could serve as a useful platform for guiding experimental investigations towards exploring traditional medicinal system for modern drug discovery. The North-East (NE) region of India is one of the twelve mega biodiversity regions, containing many rare and endangered species. This region is considered to be treasure house of various plants species. MedPServer facilitate the accessibility of the indigenous knowledge related to the medicinal plants from the NE region. It unify the available traditional and scientific knowledge on medicinal herbs, their therapeutic applications, molecular and structural data of their chemical constituents to a comprehensive database. Integration of ligand-based and structure-based approaches (2D structure search, shape-based screening and receptor-based pharmacophore screening) provides a platform for computational analyses, which could lead to rapid elucidation of the therapeutic mechanism of natural products. The integrated resource (MedPServer) could assist in providing direction for further experimental investigations to make novel natural product based drug discoveries. 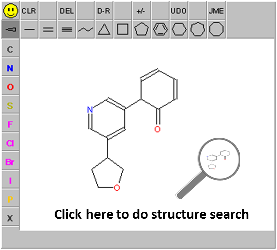 The"Pharmacophore search" runs on Jmol applet which requires Java support from your web browser. Please configure your browser to enable java applets and download the latest version of Java from www.java.com. Google's Chrome and Mozilla Firefox no longer supports NPAPI (technology required for Java applets). We recommend the latest version of "Safari" for Pharmacophore search. 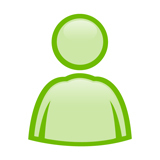 For error in loading the jmol applet please check here.